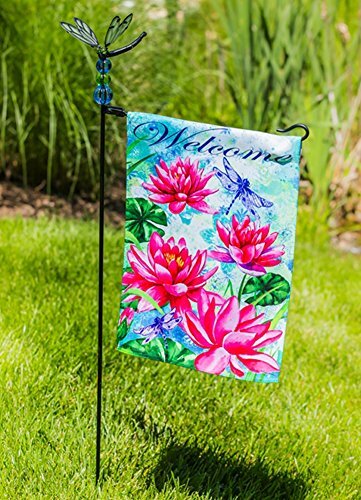 Evergreen Garden Flag Stand is perfect to hang standard sized garden flags anywhere in your yard. Garden Flag Stand, made of sturdy metal can be used for a long time. The looped design of the stand keeps the flag in place without flying away. Comes in black satin finish. Includes only the stand; no flag included.